Held at the Tatte Conference Centre in Sogi, the four participating teams including Lotoha’apai United from Tonga, Puaikura FC from Cook Islands, FC Samoan Korean Baptist Church from American Samoa and Lupe o le Soaga SC from nearby Magiagi attended the ceremony along with special guests and the FFS Executive Committee. FFS President Reverend Laupama Solomona highlighted the significance of hosting such a prestigious event in his address. 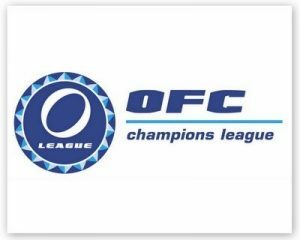 “It is an honour for Samoa to host the 2015 OFC Champions League Preliminary tournament”, said Rev. Solomona. “Not only are we promoting the beautiful game of football to the local community, we are promoting our unique culture and country to the visiting teams”. Rev. Solomona acknowledged OFC for the opportunity to host and thanked the local organising committee for their hard work. He then officially opened the event with a subtle hint that his money was on local champions Lupe o le Soaga SC to win. “I wish all four teams the best of luck and may Lupe o le Soaga win”, said Solomona. The games kicked off on Tuesday evening with Puaikura FC (Cook Islands) and FC Samoan Korean Baptist Church (American Samoa) going head to head in the first match of the tournament. Puaikura FC took the lead with Temana Pennycook scoring the first goal however FC Samoan Korean Baptist Church bounced back in the last few minutes of the game, which resulted in a draw 1-1. Local champions Lupe o le Soaga made their mark and came out as winners, defeating Lotoha’apai United 1-0 with Luki Gosche scoring the only goal. This puts Lupe o le Soaga at the top of the preliminary standings after the first match day. The second match day kicks off tomorrow with American Samoa up against Tonga at 4.30pm and local favourites Lupe o le Soaga versing Puaikura FC at 7pm. The tournament is being held at the J S Blatter Football Complex in Tuanaimato, Apia. Previous Post Register your team now!